Cancer is often able to craftily outwit the best techniques modern medicine has developed to treat it. In an attempt to understand and combat cancer’s vaunted prowess, an unusual collaboration between physicists and a leading geneticist has cast new light on cancer as a biological phenomenon with very deep evolutionary roots. The research involves looking anew at the genetic control switches that allow complex life to flourish. Should such regulation become corrupted, cells may lose their cooperative properties and regress to the single-celled behavior common to much more ancient organisms. Such reversion to ancestral evolutionary traits is known as atavism. Davies, who is also director of the Beyond Center for Fundamental Concepts in Science, worked with physicist Charles Lineweaver, of the Australian National University, geneticist Kimberly Bussey and biophysicist Luis Cisneros, of NantOmics, LLC on the research. The new study, which appears April 25 in the open-access journal PLOS ONE, finds that mutational bursts surrounding double-stranded breaks in DNA are commonly seen in cancer. Further, such bursts are similar to those seen in single-celled organisms engaged in stress-induced mutation. In the case of cancer, the mutations appear to be spread across the genome, including older genes that are evolutionarily conserved and normally off limits to mutational events. The effect is to allow somatic cells to search ancient genome space for solutions to the stress-induced pressures they are experiencing. 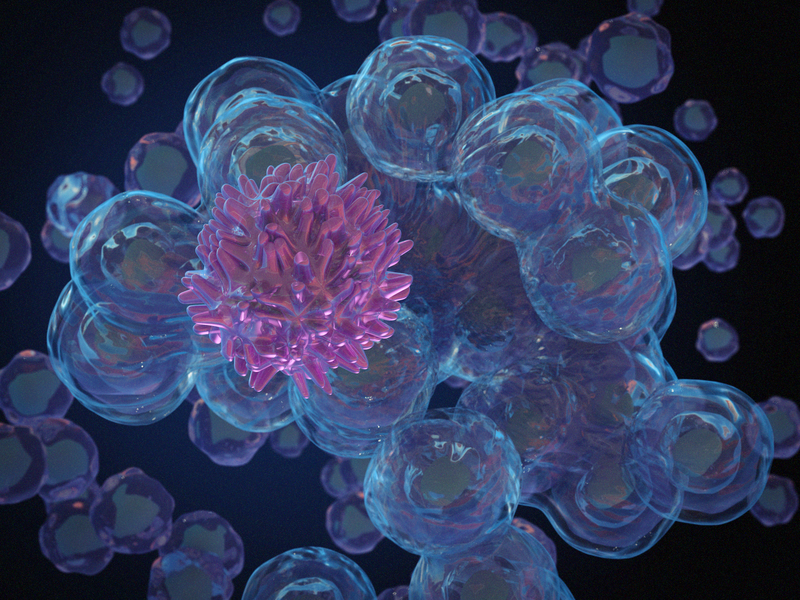 As corresponding author Kimberly J. Bussey, principal scientist with NantOmics and adjunct faculty in the Department of Biomedical Informatics at Arizona State University, explains, a stress response that evolved to protect single-celled organisms from extinction may prove hazardous to a multicellular creature, should some event suddenly resuscitate it. The results suggest that in cases of rapid resistance to therapy, the ability to generate regulated bursts of mutation may be at the core of this deadly disease. Such approaches have already made some inroads into clinical use. So-called metronomic therapy applies more frequent rounds of lower-dose treatment, while adaptive therapy seeks to pulse cancer treatments in order to stabilize rather than eradicate a tumor. These and other evolutionary approaches to treating cancer offer new hope in the war against a cunning and profoundly versatile foe.